The Towanroath Pumping Engine House built in 1872 at Wheal Coates, St. Agnes, Cornwall. 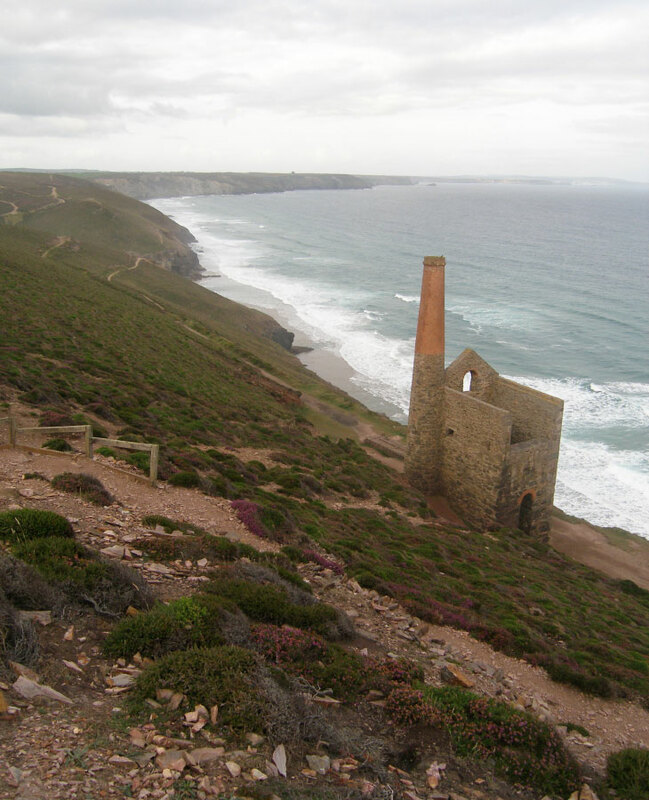 Cornish engine houses characterise the mining landscape of the South West of England (Edward Higginbotham, 2006). By the 1850s the demise of the Western Cornish mines was now becoming evident, with the Caradon and Tamar areas in the east still on the ascent. Foreign competition was also becoming a threat. From a totally dominant position in the 1830s, Cornwall was surpassed in production by Chile in the 1850s. South Australia and Michigan in the United States were also beginning to have an impact by this time. The peak in Cornish and West Devon production passed in 1855-1856 and began a slow decline. “The great days were over. Companies folded up. Mines closed down. Hundreds, then thousands, of tin and copper miners found themselves out of work, without hope of employment…there was no alternative to starvation…but mass emigration. A third of the population left Cornwall before the end of the century, while back at home their mining towns and villages were left unpeopled, the mines themselves deserted.” (Daphne du Maurier. Vanishing Cornwall, 1967: 106). To stay meant starvation, but we should ask the question what it had in store for those who emigrated. For the Cornishmen, who came to South Australia and New South Wales, we can see some general outcomes. For a few of the Cornishmen, who lived at Cadia in New South Wales, we can follow some individual life paths.